Students who file their statements of intent to register can take their pictures with Josie and Joe Bruin. Choosing which college to attend is for most high school seniors, the biggest decision of their lives. 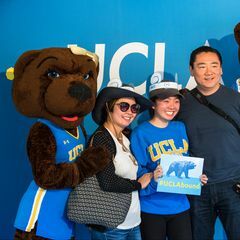 To help admitted students (and their families) make that decision, UCLA is inviting them to campus on Saturday, April 13 for Bruin Day. 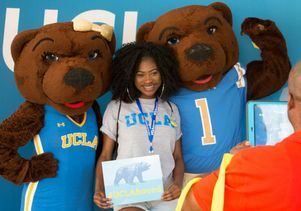 About 14,000 people are expected to attend the annual event, which gives future Bruins firsthand knowledge of the world-class academic opportunities and campus lifestyle that help make UCLA the most-applied to university in the United States. The schedule includes three information fairs, more than 40 presentations, faculty lectures, campus tours and open houses of the residence halls. Students can learn about academic programs, financial aid, student activities, housing options, campus safety and more while getting a sense of the broad diversity of the student population. The day will begin in Pauley Pavilion with a welcome address from UCLA leaders, including Chancellor Gene Block. Visitors will also have the opportunity to attend lectures from professors such as Jay Phelan, professor of ecology and evolutionary biology; Robert Watson, distinguished professor of English; Genevieve Carpio, assistant professor of Chicano and Chicano studies; and Alex Spokoyny, assistant professor of chemistry. 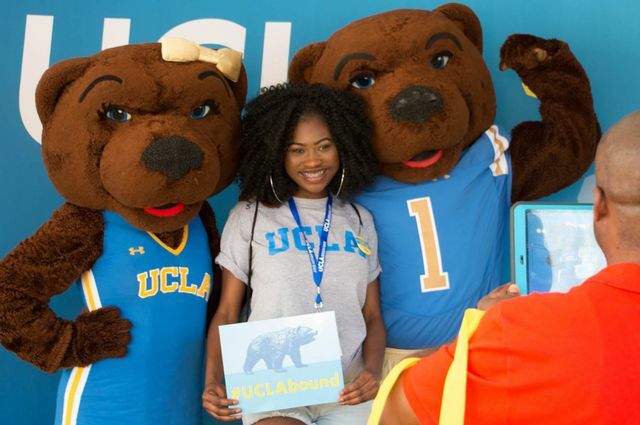 Bruin Day is more than just an informational fair, though, students and their families can formally declare themselves Bruins by submitting their statements of intent to register. Those students will get exclusive access to the Admission lounge in the Wooden Center. 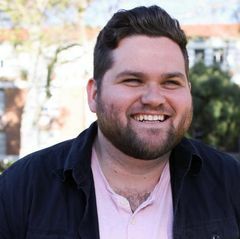 This year, attendees can also enjoy an informative and inspiring presentation entitled “First-Generation College Student Resources,” which builds on UCLA’s commitment to helping first-generation students achieve academic success, foster a community and make the most of networking opportunities. Other welcome events are also offered to admitted freshmen throughout the week, including open houses at the Luskin School of Public Affairs; the School of Theater, Film and Television; the Samueli School of Engineering; the School of the Arts and Architecture; the School of Nursing and the Herb Alpert School of Music. Additional activities will be hosted by student organizations and groups such as the Afrikan Student Union; American Indian Student Association; lesbian, gay, bisexual, transgender and queer community; Latinx community; Pacific Islands Student Association; Pilipino Recruitment and Enrichment Program; and Southeast Asian Student Organizations.